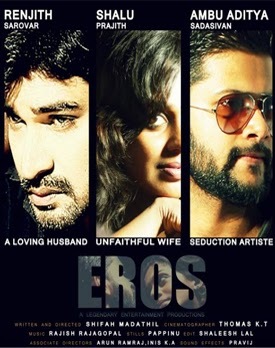 NMIFF welcomes the entry of a short film "EROS" from India, DIRECTED by SHIFAH MADATHIL. makes Aswathy to go for an extra marital affair. EROS comes from the Greek word; used to denote the feelings of arousal that are shared between individuals who are physically attracted to each other. How the serenity of bond shares between a husband and wife diminishes away. A clear cut answer to this question is merged in every frames in the work, it figures out the trivial and meaningless aspects of life."